The boy brought this one home from school last week. 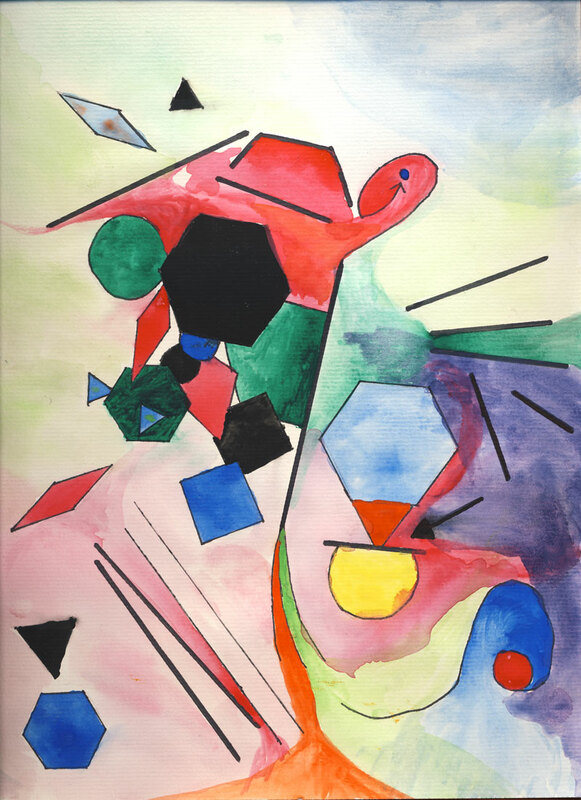 The assignment was to channel your inner Wassily Kandinsky. I place this one somewhere between Kandinsky’s looser Blue Rider period and the tightened up Bauhaus works. This one is bound for framing and hanging in the mcglinch home gallery. This entry was posted in kandinsky, son, watercolor. Bookmark the permalink. I would pay 100k if I had it. Insanely good.